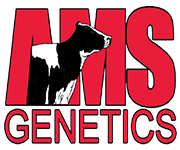 Exciting spring consignments from Willows-Edge Holsteins. 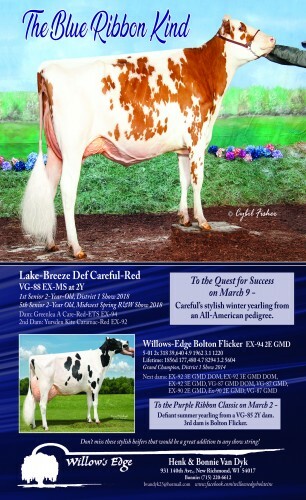 Selling at the Quest for Success Sale, March 9, is a stylish Winter Yearling from Lake-Breeze Def Careful-Red VG-88 EX-MS 2-Yr. Careful is the Defiant daughter of Greenlea A Care-Red EX-94 (Absolute x CARAMAC) who was Grand Champion at Quebec Spring Red & White Show 2018, Res. Grand Champion and Intermediate Champ R&W Show Royal Winter Fair 2017! Selling at the Purple Ribbon Classic is a Defiant Summer Yearling from a VG-2YR Doorman granddaughter of Willows-Edge Bolton Flicker EX-94!